From a kraal of twenty huts, cradled in the hills of Natal, South Africa, emerged a Zulu with a heart questing for the things of God. He entered a Baptist seminary, became the pastor of a black church, and sought the Lord in desperation as the church remained empty. He finally found the Lord, face to face, in an experience that burned deep into his being. 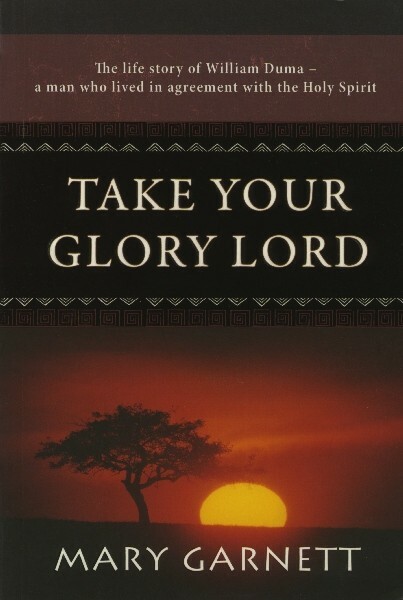 "Take Your Glory Lord" is a graphic illustration of the power of God in action 'the dead are raised, the sick healed, the possessed delivered, and those in fear encouraged and strengthened. Duma's prime concern was always that God would have the glory for these miracles, hence his well-used catch phrase - the title of this book.